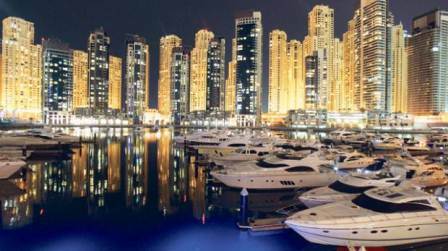 Dubai: At least three of the world’s 500 richest people on earth are residing in the UAE, with a combined fortune of $16.41 billion (Dh60 billion), according to the latest figures. The Bloomberg Billionaires Index, a ranking of the world’s 500 richest people, listed retail tycoon Majid Al Futtaim as the wealthiest person in the UAE, highlighting that shopping malls are some of the biggest creators of wealth. The owner of at least 21 malls, including Mall of the Emirates and Deira City Centre, as well as hotels and hypermarkets, Al Futtaim is at 279, just behind Russian businessmen Alexander Abramov and Leonid Fedun, each with a total net worth of $6.07 billion and $6.06 billion, respectively, as of July 10, 2018. Al Futtaim’s estimated $6.04 billion net worth has eclipsed those of American filmmaker Steven Spielberg, at the 284th position, and Virgin Group founder Richard Branson from the United Kingdom, occupying the 300th place. Trailing behind Al Futtaim in UAE is Abdullah Al Ghurair, with a total net worth of $5.42 billion, followed by Indian businessman Micky Jagtiani, whose fortunes stood at $4.95 billion. Jagtiani is the person behind Landmark retail stores group, which is based in Dubai. Among the three richest UAE billionaires, only Al Ghurair, founder of Mashreq Bank, managed to expand his fortunes, which grew by a whopping $168 million year-to-date. The UAE tycoon made his fortunes from diversified interests. The index measures the wealth of the world’s richest people based on changes in the markets and the economy, and is updated every business daily. Overall, Amazon Inc. founder Jeff Bezos takes the crown as the wealthiest person on earth. Trailing him are Bill Gates, Mark Zuckerberg, Warren Buffett and Amancio Ortega, respectively. Facebook founder Zuckerberg has just overtaken Buffett as the third-richest individual in the world. Facebook shares have jumped 15.2 per cent year-to-date.